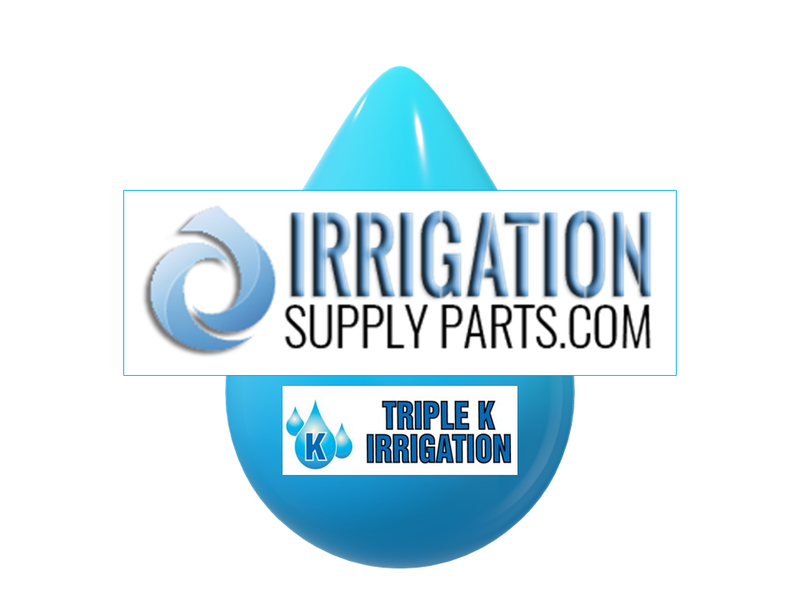 Where it can be utilized, drip irrigation is the most efficient means of watering your crops. 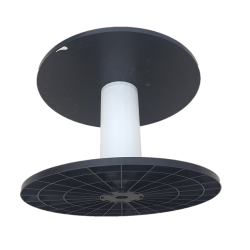 It assures more water reaches the roots of your plants without being wasted into the air. 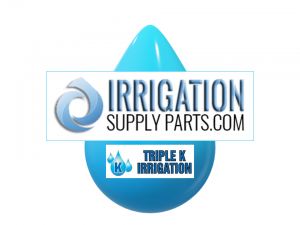 We access to have the most comprehensive supply of drip irrigation supplies you will find anywhere. 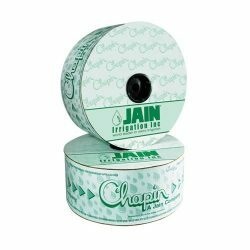 Drip Tape is available in a variety of flow rates (e.g. 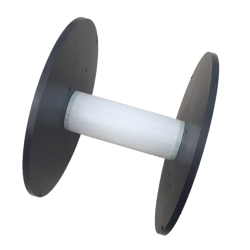 0.5 gpm/100′), thicknesses (e.g. 8 mil), spacing of emitters (e.g. 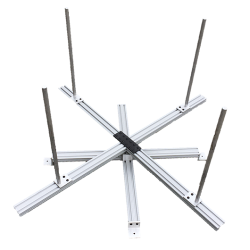 12″ spacing) and lengths (e.g. 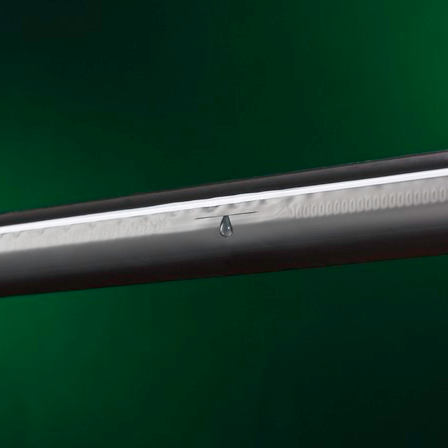 7500′ roll). 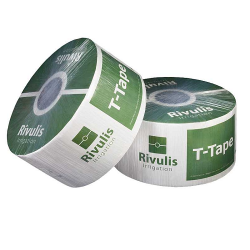 Please let us know if you require drip tape or emitterline different than our standard products offered below. 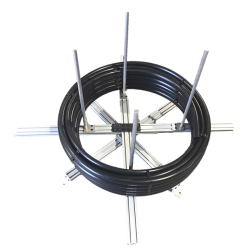 U shaped wire hold downs are great for securing our 5/8" distribution tubing, 5/8" drip tubing, 1/2" supply tubing or 1/2" dripper line in place. They are simple to use and work well in heavy soils. Each U shaped wire hold down "staple style" is 6" long. Holds up to .940 O.D. 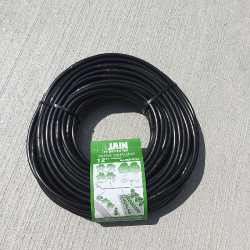 Works great with our Irri-Gator Drip Irrigation Garden Kits or Landscape Kit. 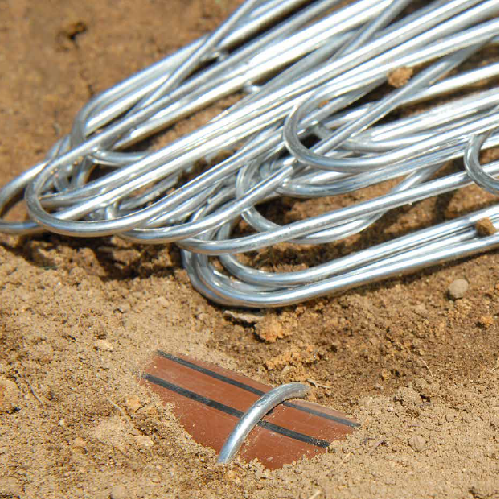 U Shaped Wire Hold Downs are used to keep tubing neatly in place and prevent it from being moved accidentally. Also known as wire stakes. 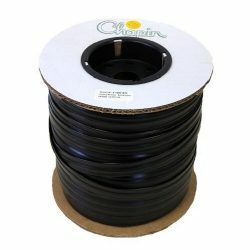 Drip Irrigation Blank Tape Spool Drip Irrigation Blank Tape Spool has been designed to roll your longs runs of drip tape back onto at the end of the season for easy storage and future usage. The following season your drip tape will be ready for re-installation. Some assembly required. 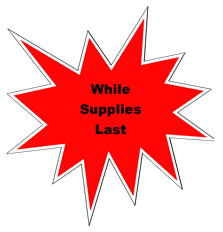 In stock and ready to UPS same day! 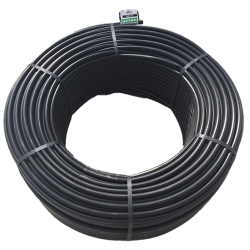 Drip Irrigation Spool Out Reel Easy to use professional grade Drip Irrigation Spool Out Reel has been designed to assist in spooling out drip irrigation tubing, emitterline and trellis wire. 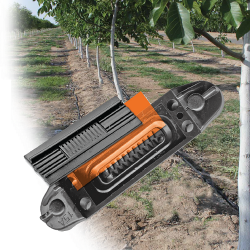 Simply place the tubing over the adjustable posts and begin the spooling process. It may be mounted to a trailer or even a pallet, if desired. Some assembly required. 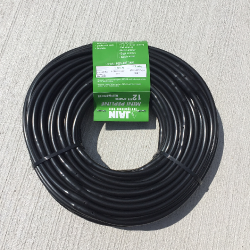 Order your drip irrigation tubing and have them shipped together! 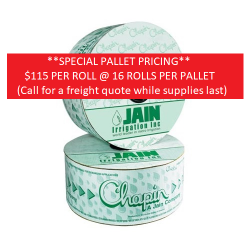 In stock and ready to UPS same day!